The Confederate Right Wing halts its attack on the fleeing Federals at the Lafayette Road. They make no attempt to pursue them, or outflank the Snodgrass Hill line. Palmer’s, Baird’s, and Johnson’s divisions begin leaving the field and march toward McFarland Gap. They do so over the McFarland Gap road and other trials in the woods. 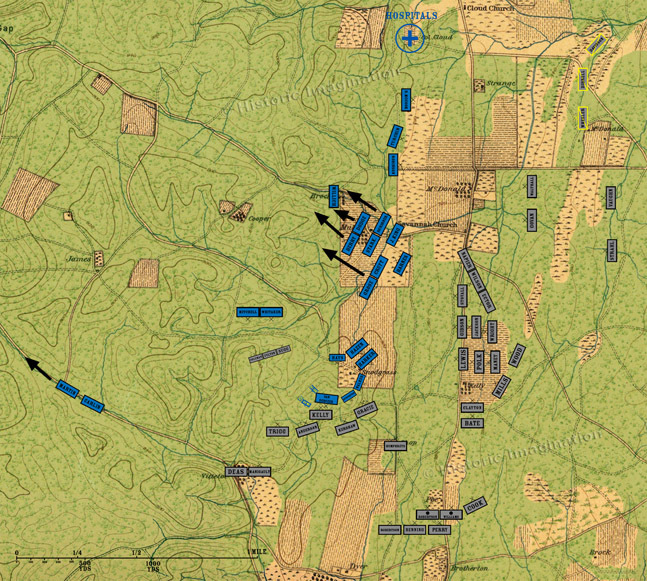 Davis’ force approaches the left flank of Deas’ Brigade, but finding only Confederates and not Union forces under General Thomas, he decides to return to McFarland Gap.